TORONTO — "Schitt's Creek" fans, prepare to say goodbye to the Rose family. "I've always known how the show was going to end," Daniel Levy, who is also the showrunner, said by phone from Toronto. 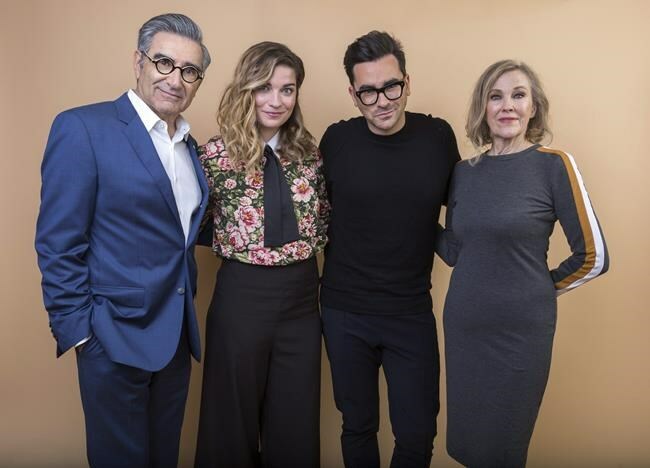 Each character has carved out their own niche in the town over the years, providing nuance and a joyful spirit that has helped "Schitt's Creek" grow in popularity from season to season. "It's really been quite unbelievable," said Eugene Levy, a comedy treasure and "SCTV" alum who was born in Hamilton. "Having a show like 'Schitt's Creek' in the autumn of my years, so to speak, is something not a lot of people get to experience." "I'm sure people will be questioning, 'Why walk away when so many people are watching it?'" Toronto-born Daniel Levy said, noting he tries not to pay attention to the show's buzz because he doesn't want it to affect the creative process. "We're going out on a nice, natural high and never really wanted to risk taking it any further into what I might call the law of diminishing returns," said Eugene Levy. "It really also became an anchor for a new era of (scripted) comedy at the CBC," she added. Daniel Levy said he hopes the final season will provide closure and "tell the funniest, the sweetest, the most joyful episodes of our show we've ever told."